If you've ever stepped on the sharp edge of a Lego brick in your bare feet, chances are you've cursed the town of Billund, Denmark. 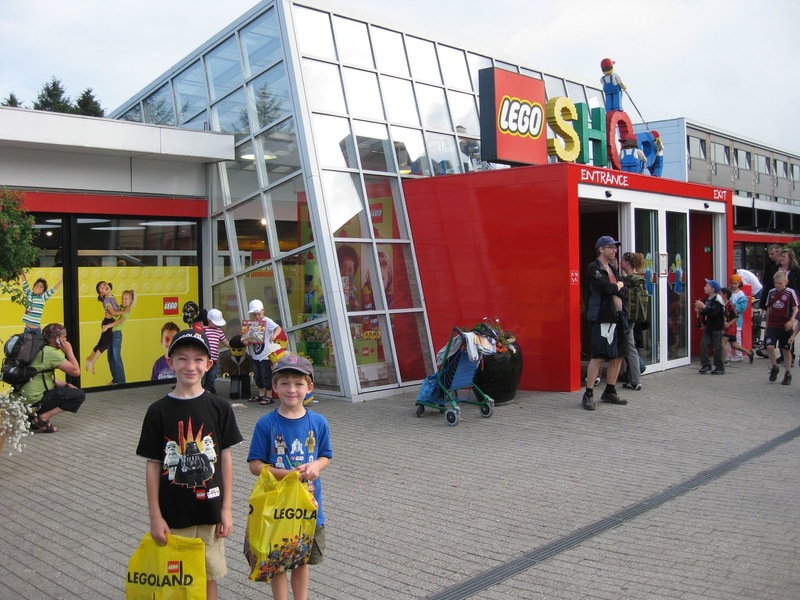 Almost 3 hours by car from Copenhagen, Billund is the world HQ of everything Lego. 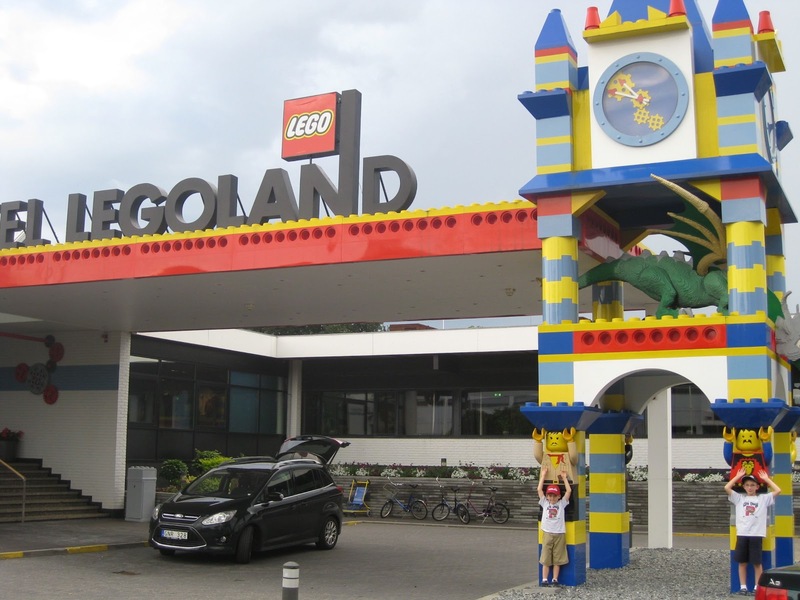 As if that weren't enough to make it legendary in the little C&G's minds, it's also home to the first Legoland theme park and the first Legoland hotel. So what better place in the world to start off our first European family vacation than Denmark? 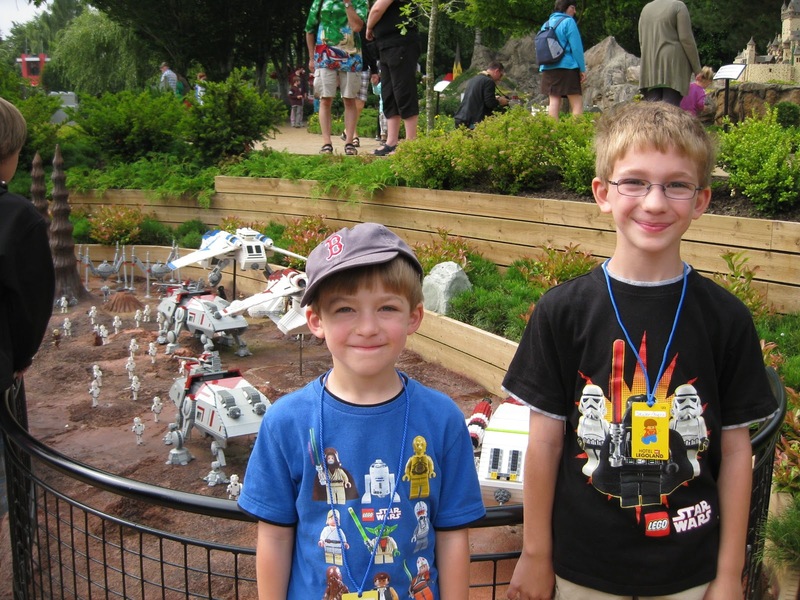 The boys were beyond excited in the months leading up to our summer 2011 trip. I think starting off with something so epic (in their minds) really opened up the whole idea of travel for them. With Legoland as our jumping off point, we were able to involve them in conversations about the culture and history of Scandinavia. Our trip would take us to Denmark, Sweden, and Norway before heading back home to Maine. We did a lot of "research" together online so they could get to know the types of food we'd be trying, the different currencies we'd be using, and some basic polite words for conversation. After arriving in Copenhagen we took a few days to get acclimated to being in a foreign country and in a new time zone before heading out for adventure. The difference of being 6 hours ahead didn't affect us all as much as I'd worried about. The sky doesn't get dark till after 11:00 mid-summer, so the boys were fine with being up "late". Mornings were a little hard, but on day three when we woke them to go get the rental car, the promise of Legoland was the only alarm clock they needed. 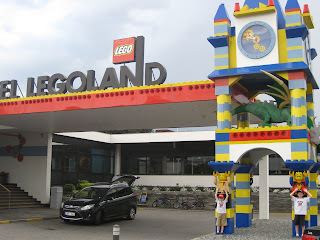 Billund is too far for a day trip from Copenhagen, and even though it is accessible by public transportation we opted for a rental car to make things easier. Trying to manage train and bus schedules and two little first time European travelers was just too much to worry about. Driving also shaved an hour off the Copenhagen to Billund trip, which was one less hour of "are we there yet" that we had to listen to. 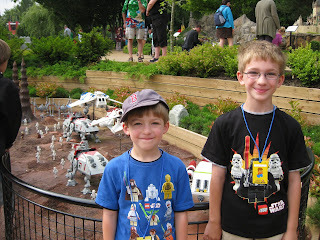 Our biggest splurge of the entire vacation was the Legoland Hotel, and it was worth every penny* (more on this below). 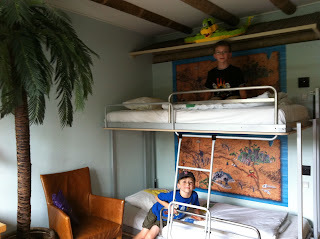 I can't remember ever spending more than $700 for one night in a hotel but it really was amazing for the kids. We booked a package online which included two days park admission for the four of us plus breakfast, and I could almost justify the high price in my mind. The hotel is connected to the park so you can avoid the long lines at the gate and you can come and go as you please. Also they give the kids a pass to wear around their neck with a special security number and your cell phone number in case they get lost. Since none of us spoke more than 5 words of Danish, this was one less thing for me to worry about. My worries were for naught of course, because everyone spoke English, and all the signage was in Danish, German, and English. There are other options for hotels and campgrounds in Billund if you're trying to work within a budget. The packages from the hotel are expensive, but they can be a good deal because they include admission to the park. 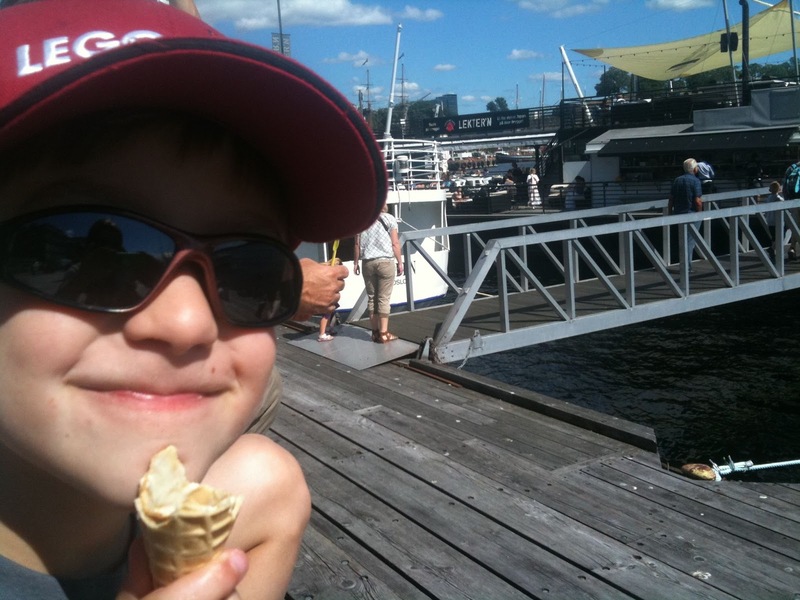 One day admission for a family of four is about $175 (obviously the dollar to kroner exchange rate varies), and there are options for a second day add on. I can't stress enough that if you're going to go, book your hotel online ahead of time (they do sell out quickly in the summer) and print out your admission tickets before you leave home. * All that being said, in my honest opinion the hotel is not fabulous. It's all about the children so don't expect much. The hotel was built in the late 1960s, with some additions and renovations since then but it could certainly use an update. 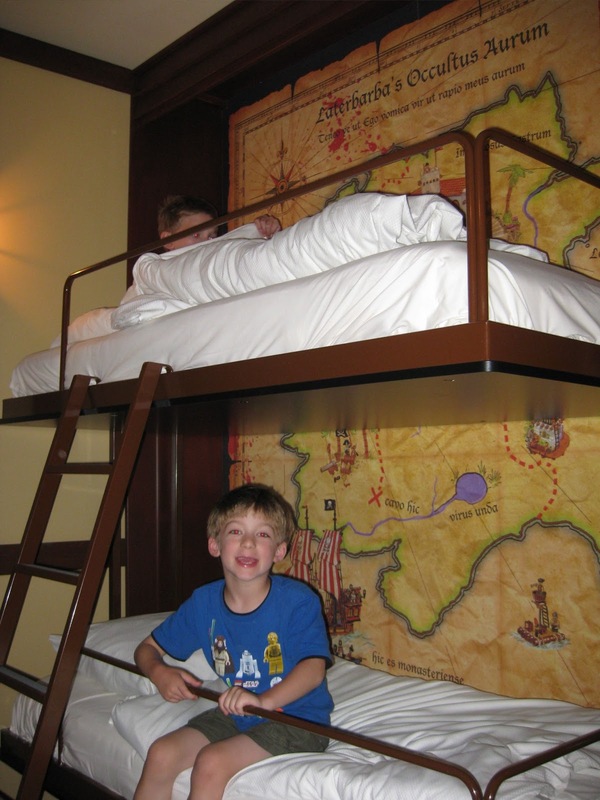 We paid extra for a pirate themed room and we were very disappointed when we checked in and were shown to an older part of the hotel. The room looked like a Lego decorated cinder block jail cell. The boys loved it of course and didn't notice a thing because they were too busy playing with the free toys left on their beds. I was feeling very depressed, because in my mind a $700 hotel room should meet some sort of standards. Thankfully we were rescued by Mother Nature. The day before we arrived in Denmark they were deluged by rain (the design museum I had been so excited to visit was closed from flooding) and the Hotel Legoland had some problems with water damage. I went to the front desk to complain about the wet dog smell in our room and was told that the hotel was fully booked and we were stuck. I didn't want to play the pushy American tourist card, but we did just fly more than 4,000 miles to be there. She promised to send housekeeping down to inspect, but did stress that we weren't going to be able to change rooms. The housekeeper walked in, took one sniff (while holding a bottle of the Danish version of Febreeze) and then marched back to the front desk. Within 15 minutes we were down the hall in the newer wing in a much more fabulous pirate room. The boys got a second round of free toys (gifts to the cousins then) and we happily headed into the park. Hotel Legoland has a much needed bar and lounge with a fun cocktail menu for both kids and adults. Big C&G had a purple Harry Potter, and Little C&G ordered something in a frightening shade of fluorescent green. There are two restaurants, one which is cafeteria style (and where the breakfast buffet is served) and the Adventure Restaurant which is smaller but fancier. The Adventure Restaurant requires reservations and offers a welcome change of atmosphere after a day in the park. The prices are a bit higher but it was definitely worth it to get away from the crowds, so obviously that was our choice. There were activity books and crayons for the kids, and plenty of sophisticated Lego decor (think British Colonial meets Danish Lego) to fool us into thinking we were in an upscale restaurant. Breakfast the next morning was not nearly as civilized. The food is buffet style, and everyone is vying for tables so they can rush back into the park. The boys piled their plates with pumpernickel toast and smoked salmon (yes, they are strange) while I stuffed tiny packets of Nutella into my purse (not strange, don't judge). We had no agenda for day two, other than to head back to Copenhagen after lunch. The boys did another round through the park and then we finally turned them loose in the Lego Shop. As the largest Lego store in the world, we all went a little nuts buying gifts, souvenirs, and sets that hadn't come out in the US just yet. While we were checking out and heading back to the car, the skies opened up and the rain came pouring down. Perfect timing and a great excuse to leave. There are a few important things to know about the hotel before you go. First, lower your expectations. It's for the kids, not for you. The decorations throughout are amazing, with tons of Lego sculptures, life sized statues, and wonderful little creative details. We had a Lego monkey just outside the window of our room peeking in. There are giant buckets of bricks everywhere you look and the kids are invited to make whatever they want for display on the shelves around the lobby. There is a video game room, a small putting green, a dragon in the lobby, and plenty of things to climb all over. Second, there is no air conditioning. From what I've read this is quite common in Scandinavia, but having the windows open with an early sunrise is not really a great thing. 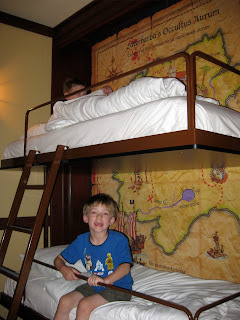 The kiddos were too pooped to care and pretty much zonked out as soon as they climbed into their bunk beds. We were equally exhausted but found it very hard to sleep with the stuffy warm air. And third, chances are you will be the only English speaking people there. All of the tourists in the park were German. We heard very little Danish, absolutely no English, and almost all German, with a few Russians wandering around. Which is a wonderful thing in a busy theme park. You know the kids are whining and complaining to their parents (that exhausted parent look needs no translation), but because it's in a foreign tongue it doesn't sound nearly as bad. Our two days of kid-centric adventure set us up for a wonderful rest of the vacation. The boys were pretty much game for whatever we did after that. Sometimes they needed a gentle reminder (especially in a museum) that we did just bring them to the center of the Lego universe, so we needed a little more enthusiasm from them. And if their energy was flagging, Scandinavia had plenty of Movenpick ice cream shops to search out.